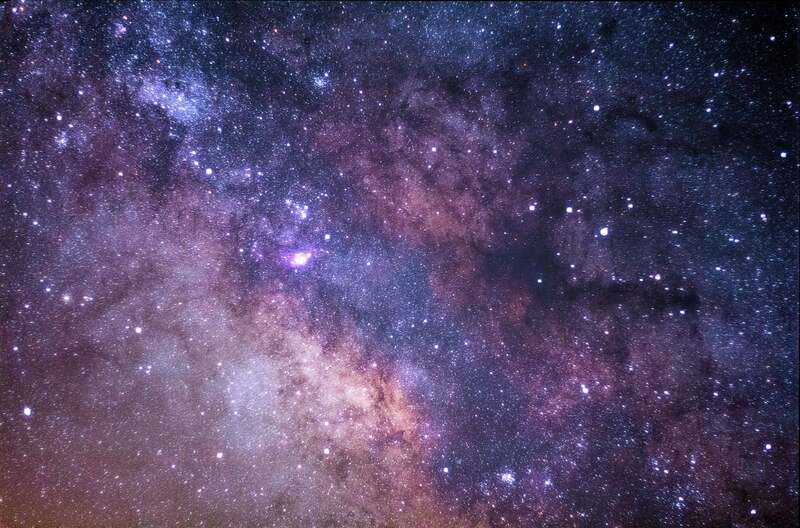 Top 10 Brightest Stars In The Sky: How Many Of Them Have You Seen? Humans have been fascinated by the unfathomable sky for thousands of years. We wonder if any of those stars shining in the night sky have habitable planets orbiting them. The Greek astronomer Hipparchus began measuring the brightness of stars – and ranking them accordingly – more than 2,000 years ago. Hipparchus didn’t have the tools available to modern astronomers to make precise calculations related to the brightness of stars. Here we take a look at the top 10 brightest stars in the night sky. You’ve probably seen a few of them, but you might not know their names. In the night sky, some stars appear brighter than others. The brightness of a star depends on a variety of factors including how far they are from Earth and their composition. Scientists measure a star’s brightness in terms of apparent magnitude, absolute magnitude, and luminosity. Apparent magnitude is how bright a star appears from Earth while absolute magnitude is how bright a star appears at a standard distance of 10 parsecs or 32.6 light years. Luminosity is the amount of light emitted by a star. Contrary to what many people believe, the North Star or Polaris is not the brightest star in the sky. In case you are curious, it’s the 47th shiniest star in the sky. Also known as Alpha Orionis, Betelgeuse is the 10th brightest star in the sky. This red supergiant is about 640 light years away from our solar system. If it were located in place of our Sun, its size would reach beyond the orbit of Jupiter. According to astronomers, it is about 13,000 times brighter than our Sun. Betelgeuse is identified with the right shoulder of Orion, to the left as you observe it. Scientists estimate that it will explode as a supernova in the next few thousand years. Also known as Alpha Eridani, Achernar is located about 140 light years away. This bluish-white supergiant is the principal luminary in the River Eridanus constellation. Its name came from the Arabic term “ākhir an-nahr,” which translates to End of the River. Achernar is part of the Southern Hemisphere skies and can be viewed from latitudes above 30 º N.
Procyon aka Alpha Canis Minoris is the eighth brightest star in the night sky. It is part of the constellation Canis Minor. Procyon is only about 11 light years away. It has been classified as a Type F5 star, meaning it is a little cooler than our Sun. Procyon is a binary with a white-yellow subgiant as its primary component. It is part of the Winter Triangle, which also includes Betelgeuse and Sirius. It is visible from most parts of the northern and southern hemisphere. Capella aka Alpha Aurigae is the brightest star in the constellation of Auriga. The name Capella means “little she-goat” in Latin. Similar to our own Sun, it is a yellow giant star. Its star system consists of two yellow binaries. Capella is located 42 light years away. Notably, it happens to be the closest first magnitude star to the north celestial pole. Astronomers have classified it as a type G5 star. Vega or Alpha Lyrie is a white star of the main sequence. Its name means “the swooning eagle” in Arabic. Vega is a Type A star (hotter than our Sun) located about 25 light years away. It is visible up to 40º S in the constellation of Lyra. Along with Deneb and Altair, it forms the so-called Summer Triangle, which can be seen in the Northern Hemisphere skies between early summer and late autumn. The brightest star in the constellation of Bootes is also known as Alpha Bootis. This orange giant is visible at latitudes up to 50° S and is located 37 light years away. Ancient Greeks referred to it as the “Guardian of the Bear,” and that’s how the star got its name. Arcturus has been classified as a Type K5 star, which means it’s slightly cooler than our Sun. The third brightest star in the sky is famously known as Alpha Centauri. Astronomers have been working to find habitable planets in the Alpha Centauri system. It is located 4.4 light years away in the constellation of Centaurus. Its name means “foot of the centaur” in Arabic. Rigil Kentaurus is part of a three-star system. It has been classified as a type G2V star, similar to our own sun. Travelers to the Southern Hemisphere are keen to view this star. Canopus has been known to humans for thousands of years. It was known after an ancient city in Egypt. This yellow-white giant is not visible from anywhere in Europe. It’s visible clearly from the Southern Hemisphere. People living in the southern regions of the Northern Hemisphere can also view it low in the sky. It’s part of the constellation Carina and is located 310 light years away. It has been classified as a Type F star. Sirius is by far the brightest star in the sky. Located in the constellation Canis Major, it is 8.6 light years away. Sirius is also known as the Dog Star and Alpha Canis Majoris. Sirius is a two-star system with an extremely bright primary star and a dimmer secondary star. It is visible from late August to late March. In ancient Egypt, it marked the beginning of the Nile river flood, which was considered a blessing by Egyptians.